Ready to take your swimming teaching skills to the next level? 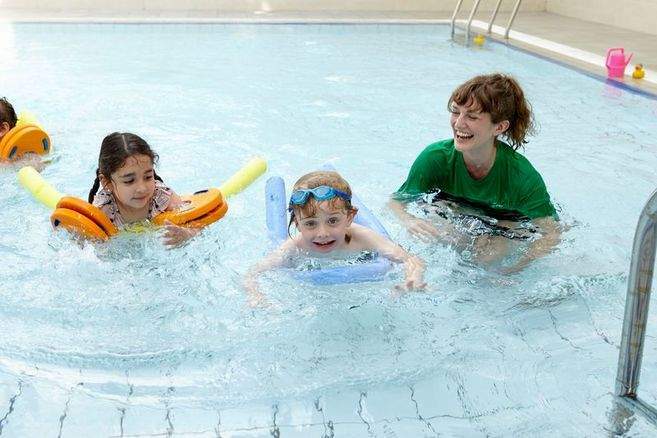 We're running an STA Certificate in Swimming Teaching course in Bath this April. The STA CERTIFICATE qualification enables an individual to be a fully qualified swimming teacher. The course, which follows on from the entry level STA AWARD, looks at developing and refining teaching skills as well as their knowledge of the 4 Competitive Strokes & Advanced Swimming Skills. Stages 5-10 are covered looking at Competitive/ Fitness Swimming and Survive & Save in Stages 8-10. Teachers would be qualified to deliver the full pathway from Stage 1-10 as well as School Swimming Lessons. The course runs from 8/4/2019. For full details and to book, please visit the GLL College website by clicking the button below.